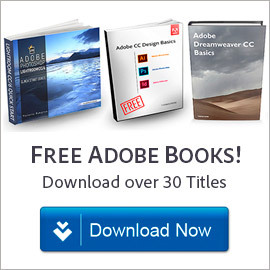 With over 15 million paid members for Creative Cloud and growing, we often get this question from readers: “What’s a good book to get started with the most popular Adobe tools?” While there are a lot of great CC books for sale on Amazon, why not begin with an excellent title that’s available to everyone for free, and that you can download instantly? 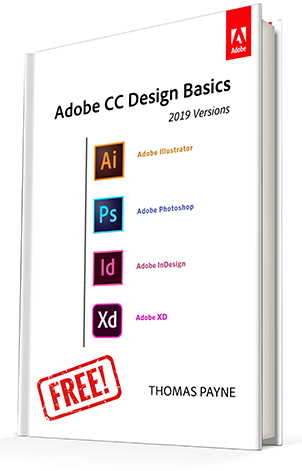 Over the years, we’ve compiled a collection of over 30 free books that you can download and use for learning all of Adobe’s different creative tools… But there’s one volume that always stands out as a favorite – and even better, it has just been republished in a brand new expanded edition for the CC 2019 tools. 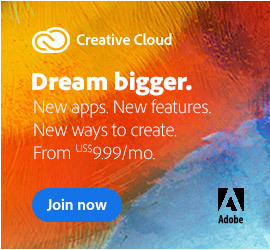 So if you’re just getting going with (or would like a solid primer covering) the core Creative Cloud design tools, then what better than a step-by-step guide that will teach you the essentials of Photoshop, Illustrator, InDesign, Adobe XD, and Muse from the ground up? 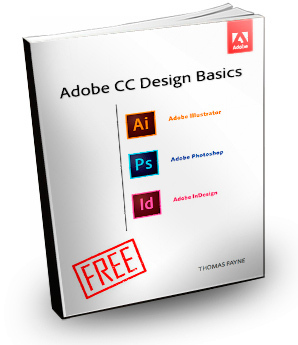 So here it is: the very helpful “Adobe CC Design Basics” that will give you all of this for free, courtesy of author Professor Thomas Payne… The book works by intro­ducing and explain­ing the tools in a logical way that builds upon what is previ­ously learned. These applica­tions present a vast array of buttons and gadgets that can be over­whelming to the new user. This book makes sense of it all, not showing how every­thing works, but instead giving a found­ation and a path to learn about all those controls and what they can do for you. 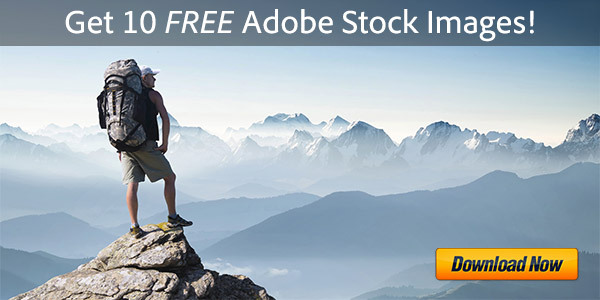 A while back, we posted details on over 1,000 pages of free ebooks for CS6. But if you’re just getting started with the core CC 2015 design tools, what’s better than a step-by-step book that will teach you the essentials of Photoshop, Illustrator, and InDesign from the ground up? Fortunately there’s a very helpful new book you can download that will teach you all of this for free, courtesy of author Professor Thomas Payne… The way the book does this is by intro­ducing and explain­ing the tools in a logical way that builds upon what is previ­ously learned. These applica­tions present a vast array of buttons and gadgets that can be over­whelming to the new user. This book makes sense of it all, not showing how every­thing works, but instead giving a found­ation and a path to learn about all those controls and what they can do for you. 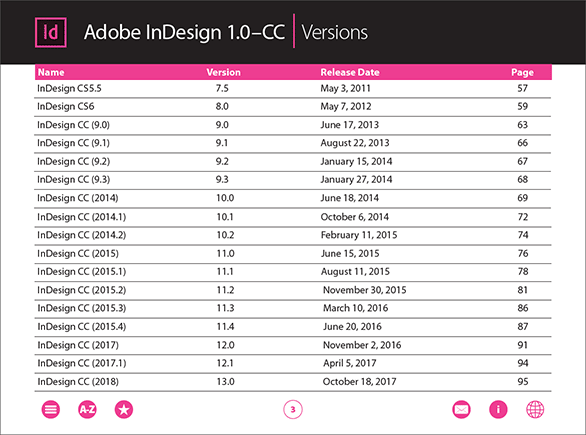 Adobe just slipped out a brief sneak peek of the upcoming new version (perhaps CS7?) of its popular InDesign application, “InDesign Sneak Peek: See What’s Coming Next.” This short preview shows a revamped user interface demoing a new “Generate QR Code” feature. 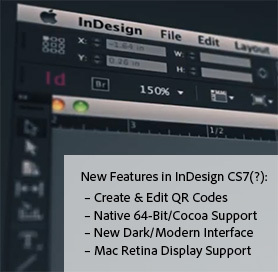 Based on public information, we’ve previously written on how the next release of InDesign will be a native Cocoa app with full 64-bit support for high performance, and – if it’s been fully rearchitected like the similar changes coming for Flash Pro – then it should be much faster. There’s also a customizable new user interface with light and dark themes (similar to what Photoshop got in CS6), as well as the long-awaited support for HiDPI displays (like the MacBook Pro Retina). 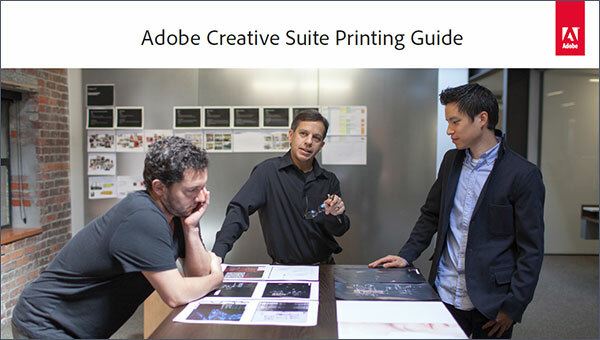 Adobe has made available an excellent resource that’s now updated for CS6 (and CC) – a free printing handbook in the form of a 149-page downloadable e-book: The Adobe Creative Suite 6 Printing Guide. 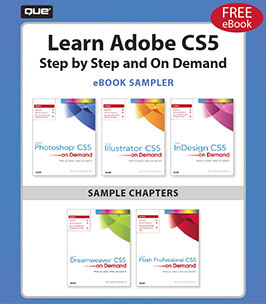 Earlier editions of this book have been out for previous releases (see the older CS5.x, CS4 and CS3 links below), but now this is fully refreshed and upgraded for the most recent versions of the products. Welcome 2013! Last year we gave away a lot of software, so to kick off the new year right, we’re going to be giving away brand new boxed copies of Adobe Photoshop CS6, Illustrator CS6, and InDesign CS6 – with a collective value of US$2,000! Creative Suite 6, Adobe’s flagship product line, has been doing very well in recent months… Available standalone for instant download or direct shipping, or as the core component of their new Creative Cloud offering, there are many important differences in this release compared to Creative Suite 5, including hundreds of new features added to the individual applications, major performance improvements, and much more. And now we’re thrilled to give away brand new boxed copies of Adobe’s top-of-the-line CS6 products to our terrific readers who have helped build our site to what it is today… Just check out our most popular posts over the past four years to see what you’ve helped create! 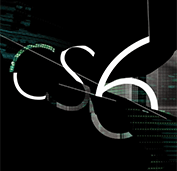 The latest CS6 products previewed include: Dreamweaver, InDesign (2), Premiere Pro, Audition, Flash Profes­sional, Illustrator (previously), and of course Photoshop. 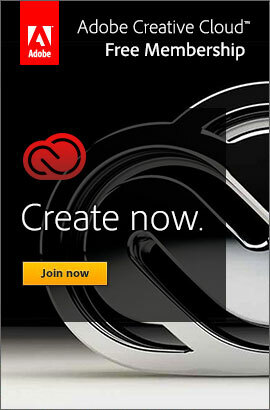 …as well Adobe’s official grace period for free CS6 upgrades. The free Photoshop CS6 beta release is out with its lengthy list of what’s new. Not to mention, Premiere Pro, After Effects, and Audition CS6 being revealed early! 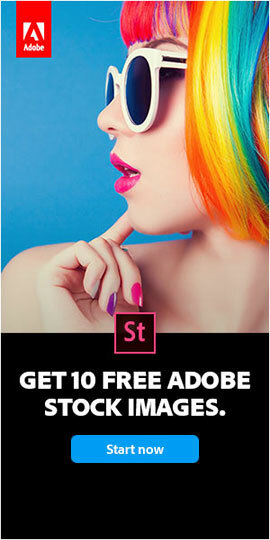 And we’ve even got chances for you to win Photoshop CS6 for free. So things are starting to get a little exciting. Here now are some of the significant new preview demos… For the complete set, please see the Adobe Technology Sneaks 2012 page. This very cool InDesign “sneak” comes fresh from the big Adobe MAX conference earlier this month… What’s a sneak? We’ve gone through the company and found the 11 coolest demos of technology that are at work within Adobe. These are things that are on the cutting edge of the technology. They may show up in a product, they may not. The demo may work, it may not. But this is your chance to get closer and really understand where we’re going and what we’re doing. 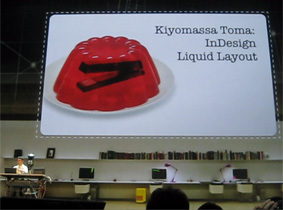 “I want to show you some things we’re thinking about on the InDesign Team. As you know, it’s actually been about a year since we launched Digital Publishing Suite, and we’ve had fantastic traction in terms of getting great-looking content on tablet devices. So I have an iPad here and as you see I can turn it over and tilt it, let the accelerometer do its trick. We’re actually seeing two different layouts here – two different layouts – which creates two different files. So designers actually have to create two separate InDesign files for this one device. We just got confirmation from Adobe that a “mid-cycle release” of Creative Suite 5 will be out later this year, perhaps in the coming months. 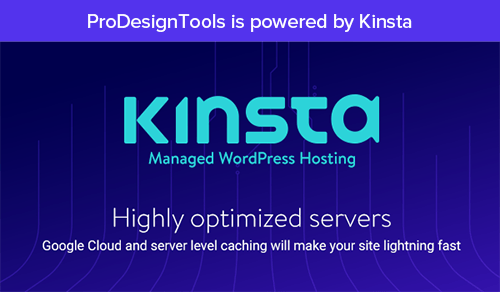 We will continue to expand our content authoring offerings by providing a mid-cycle release to CS5. The fine folks over at Que Publishing, who have over thirty years of experience writing good books about software and technology, have put out a free sampler edition of their new series of books on learning Adobe Creative Suite 5… This “CS5 on Demand” e-book runs 172 pages (11.3 MB to download, in PDF format) and includes five full chapters on Photoshop, Dreamweaver, InDesign, Illustrator, and Flash Professional. This collection has been designed to teach CS5 through step-by-step tutorials with easy-to-follow instructions, to be rich in illustrations for those who want to learn visually, and to be complete and in-depth references for those seeking a trusted desk resource to quickly provide the answers you need.